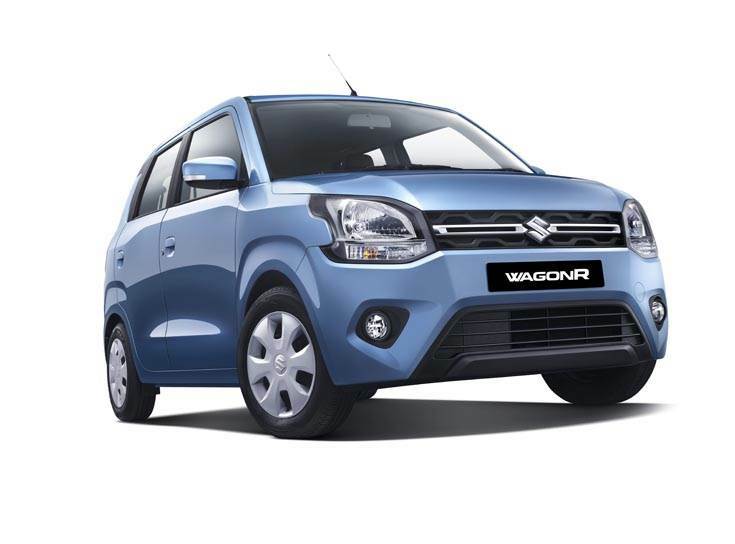 R S Kalsi, Senior Executive Director, Marketing and Sales, Maruti Suzuki India, is extremely bullish on sales of the just-launched new Wagon R. He spoke to Sumantra B Barooah on the sidelines of the launch of the tallboy hatchback. At first look, the new Wagon R looks like a conscious attempt to give the brand a premium positioning and, as you say, focusing on the personal segment. With this, what kind of impact do you expect? The Wagon R has a seen CAGR of 12.6 percent in over two decades. But there’s more competition, so how do you expect the new Wagon R to play a role there?Premiumisation is happening in all segments – the customer wants all the features in his/her vehicle. All the functional features as well as other features associated with style, design and, from that point of view, all the models are moving upwards. Having said that, the outgoing Wagon R had been doing very good numbers –almost a million plus sales in six years. The new Wagon R has been introduced in two variants 1L as well as 1.2L. It will certainly reach the earlier benchmarks in terms of numbers. The Wagon R's closest competitor, the Hyundai Santro, has come up in a new version. Do you expect it (Wagon R) to remain ahead of the competitor? We compete with ourselves. We do not really care for the competition, nor do we benchmark ourselves with the competition. We are competing with ourselves and keep our eyes and ears close to our customers’ requirements, and continuously monitor and calibrate what exactly the customer wants and what are the futuristic trends which we should provide to the customer ahead of time. That is our thought process. I think with that in mind, the new model would be very successful. Shared mobility has been a good contributor to Wagon R sales. How much, in percentage terms, is from there and with this (new) positioning, don't you lose out to that opportunity? With safety and emission regulations, smaller diesel engines and also smaller cars irrespective of the fuel become tougher in the market because of financial viability. Do you expect the market to move upwards as in something like this becoming an entry level car as the mark and some segments may disappear gradually? Customer aspirations are going up by the day, even the entry level customer wants all the features and all the functions in the car. He/she doesn't want to compromise on that. With that, what he/she does is that to translate his/her EMI. Instead of the price, you translate the price into EMI and see how much monthly impact it will have. With easy finance available, affordability for customers is increasing and thereby the baseline for the entry level vehicle is moving up. We cannot say that a particular segment is dying down or it is under de-growth. The customer is gradually moving upwards. That explains the Alto's market performance and the continued strong performance of the Wagon R or the equivalent. I have a slightly different view on this. In the Alto, also we are giving the functions and features which are available on the high-end cars for example, automatic gearshift. Earlier it was you know, available only in the high-end cars or luxury cars. Now, we were the ones who gave it in the entry level cars. Similarly, infotainment system, air-conditioning, power steering, all these features which are available in the high end cars are available in our entry level. Of course, it comes at a price and the customer is willing to pay. A slight degrowth is a temporary phenomenon, because when there is a fluctuation in the say requirement of the vehicles in the marketplace, managing a portfolio of 16 products and all of them being high volume products is a difficult and challenging job for us. And if there's a waiting on a particular model, certainly we have to divert our production resources towards that, so that would be the reason otherwise, I think the entry level market is very much intact and its long term care for India is very much intact. Maruti-Suzuki with 16 products in its portfolio in the pole position, like they say it's perhaps easier to scale the Himalayas but tougher to stay there. Do you feel the same and what's the outlook in terms of growth? We have confidence in ourselves, and more than that we have confidence in our customers, you know, because of whom we are here where we are. Today we are at 50 percent plus market share. Would you be able to sustain this? I'm sure our customers will keep patronising us and our eyes would be on rest of the 50 percent customers who are not buying from us. And lastly, you have embarked on your market survey of electric mobility you have deployed to 50 cars. How long will carry on this survey in this market research and what are the initial feedback? The research is going on right now, and it has not been conclusive so far. It's work-in-progress. At the same time, we like to do a thorough testing in our country. India, is geographically also very diverse, on one side we have snowfall and on the other side there is 40 degree temperature and then there is the coastal area. In every geography we are testing these vehicles and Maruti always believes in doing a thorough on ground testing before we get into any single product. That process is on and our plan, which we have declared already that by 2020 we will put the model on the road, so that plan is intact. I believe the CNG version of the Wagon R is in the pipeline. With the government also focusing more on CNG vehicles, how much of a contribution do you expect for the CNG variant to contribute in the coming years? Overall, the CNG contribution is increasing and we have eight models right now in our portfolio. Currently the growth is quite high on these models. CNG is more economical to run and it is a clean fuel. So our numbers would totally depend on how fast the CNG network is, expanded by the government. From our side, eight models is a big thing.